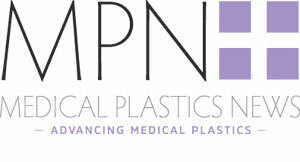 Medical device company Phillips-Medisize has completed an expansion at its New Richmond Wisconsin medical facility. The expansion gives the site value-added capabilities in drug handling to serve to company’s pharmaceutical customers. Almost 70,000 square feet of additional space has been added, with the facility accommodating significant automation, material handling, robotics and high-tech manufacturing to serve the diagnostics, drug delivery and medical device markets. These services are in addition to moulding assembly, labelling, packaging, kitting, sterilisation, sterilisation management and bulk distribution. Additionally, the facility offers services in moulding, assembly, labelling, packaging, kitting, serialisation, sterilisation management and bulk distribution. The expansion and growth of Phillips-Medisize has resulted in a demand for over 100 jobs across various departments.